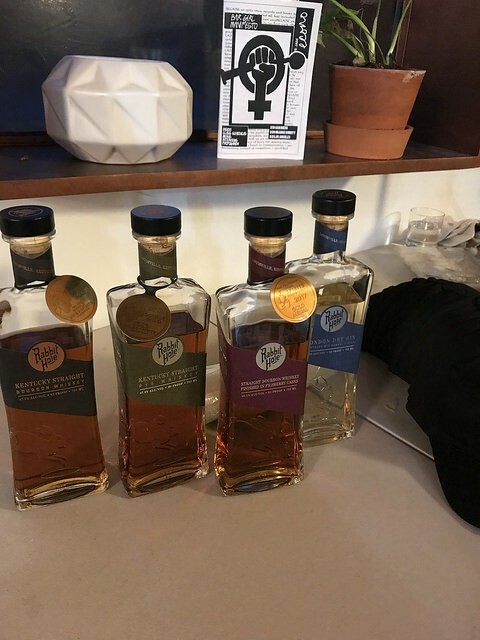 I checked out Bar Institute‘s Econo popup as it rolled through Los Angeles recently. LA was its fifth stop. 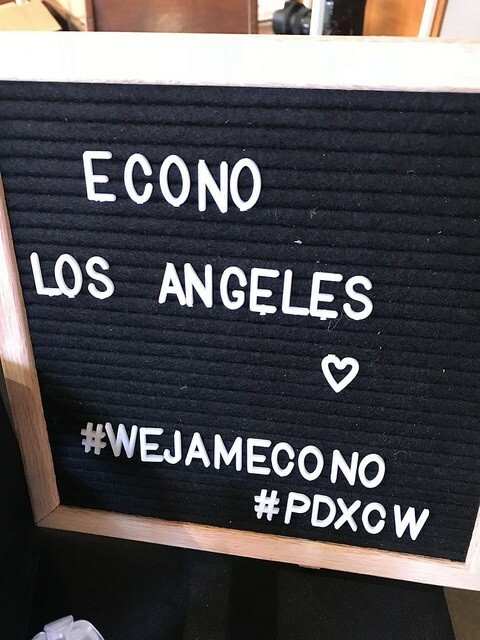 This Econo popup also provided a preview to the returning Portland Cocktail Week, one of my favorite cocktail weeks this October 21-25 in Oregon. The all-day event started with classes followed by a happy hour and then party in the evening. I heard there were tacos in between for lunch. Sadly, I only made it to the late afternoon class but I wished I was able to attend the menu design course taught by Devon Tarby with Proprietors LLC. The $5 entry fee went to CORE, the charity that benefits the children of restaurant employees. The evening popup had four cocktails priced at $5 a piece and all the cash including tips again went to CORE. There are plenty more cities for beverage and hospitality professionals to check out Econo. Each city will have their own classes and the nominal fees goes to their city’s charity of choice. Spirit Guild hosted Econo LA. 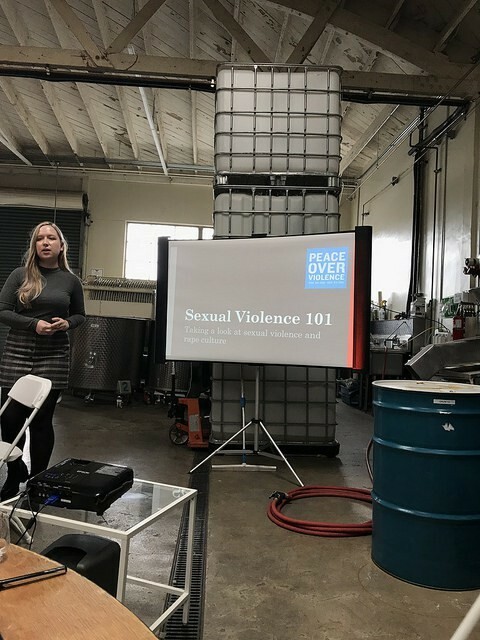 The last class of the day was Sexual Violence 101. 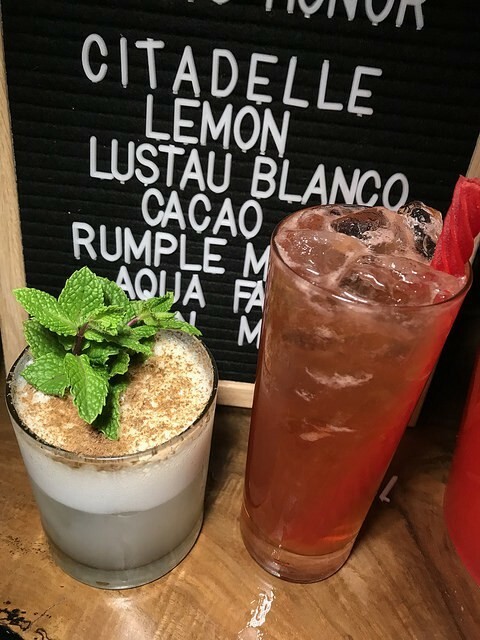 I felt this was a very important topic for Los Angeles considering two prominent bartenders have been accused of sexual assault here in LA. This was a general class to explain what sexual assault/violence is. It was perhaps very basic course but it was good for those who are confused what constituted sexual violence. April 25 is Denim Day and it’s part of Sexual Assault Awareness Month (April). After the last class, we headed over to Bar Mateo (at Zinc) for happy hour with Ghost Tequila. 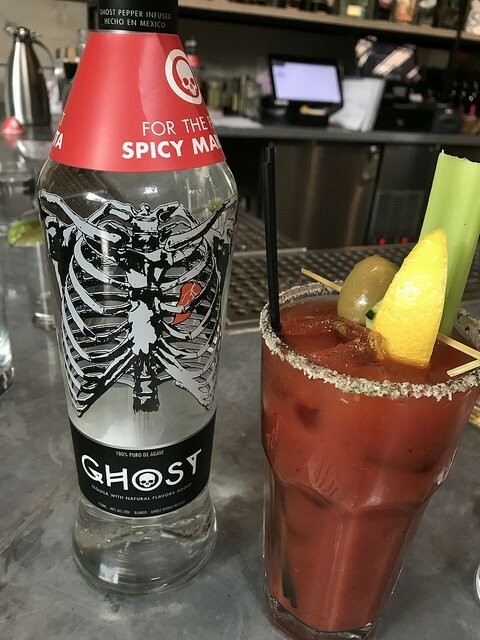 This tequila has been infused with ghost peppers and it’s spicy! But it also tasted natural and worked well in a Bloody Mary (Bloody Maria). They recommend it in a margarita. After happy hour, we went back to to the Spirit Guild which has been transformed into party central. 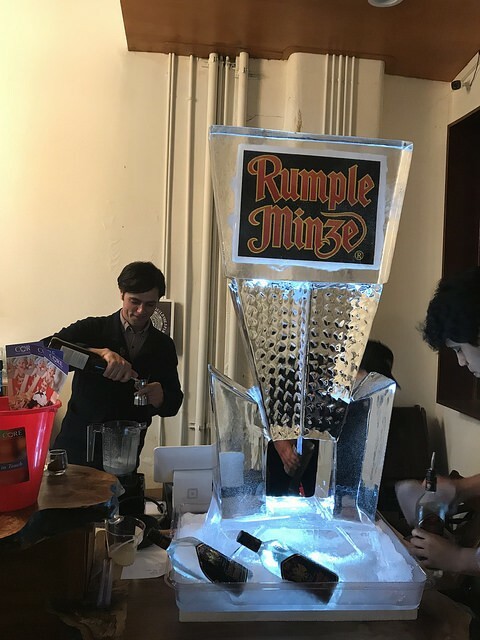 There was a Rumple Minze ice luge which I won when I spun the wheel. Other prizes included swag, drinks or even a squats challenge with the instructor from the first class which was all about binding for better health. Athletes wrap their limbs in preparation of games so why shouldn’t bartenders wrap for those long shifts? All the drinks were tasty. My favorites was the What We Do Is Secret (shown above) and the Scout’s Honor with the shaved Girl Scout’s Thin Mint cookie. 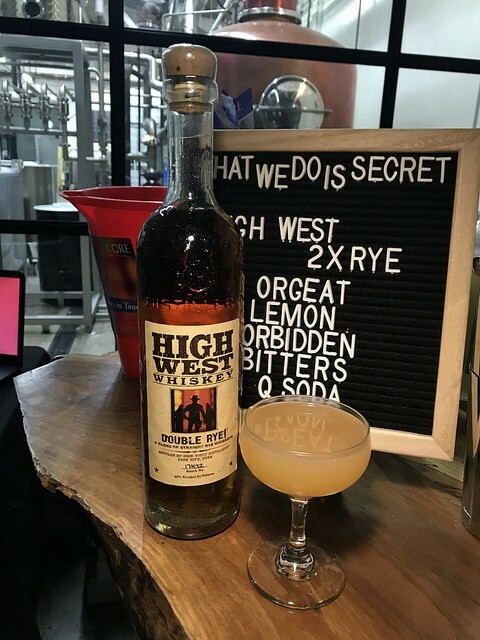 At the party, we tasted Rabbit Hole bourbon, rye whiskey, bourbon sherry cask and London dry gin. The Kentucky straight bourbon was made to their specs as the distillery is being built right now. 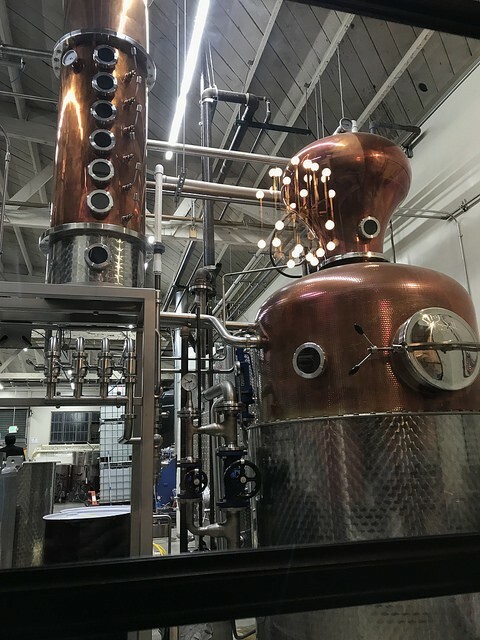 I’m curious to check out a new distillery in Louisville. 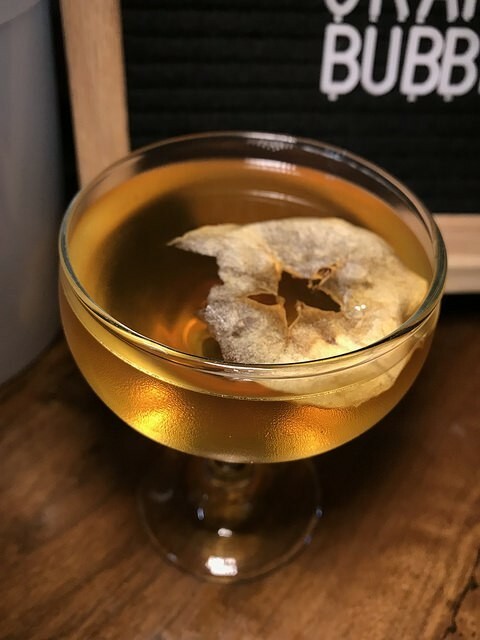 It’s interesting to me to open a distillery there where there are so many well known brands but that is bourbon country (even if you can make American bourbon outside of Kentucky!). The gin was a surprise to me. I liked it and would like to see it in a Negroni. Another activity I did was the WSET (Wine & Spirit Education Trust) challenge. I got 7 of the 12 questions correct. I probably could have gotten a couple more correctly but I didn’t trust my gut on a couple of questions. 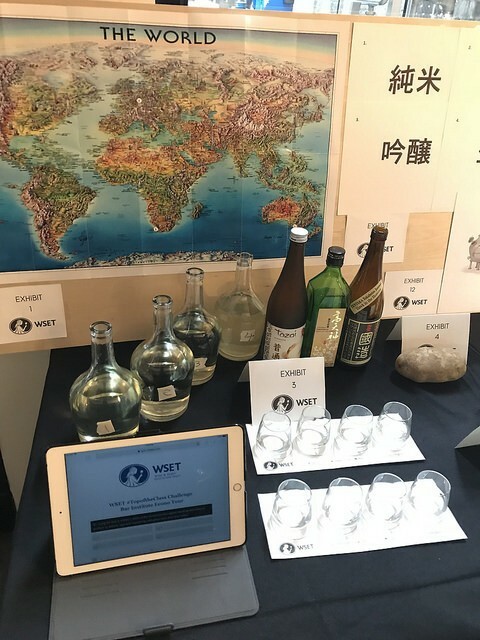 WSET are courses for wine, spirits and sake. There are various levels and I would love to take the spirits course. Maybe I will take it later this year. It was great to see all the brands support Econo. 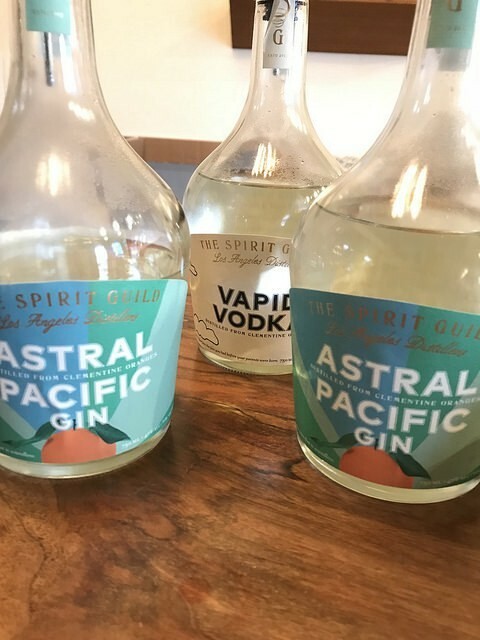 And if you haven’t taken a tour at The Spirit Guild, go check them out in the Arts District in DTLA.